What is about October that screams for something spooky? Maybe even down right scary? Oh yeah, Halloween! I'll be honest, scary books, they are not really my thing. In fact, I am extremely particular when it comes to mysteries. However, I have some really good friends who simply love the scary side of Halloween. And their joy is contagious this time of year. Now, please do not near hear me wrong, they are not out there trying to scare the littlest trick-or-treaters. 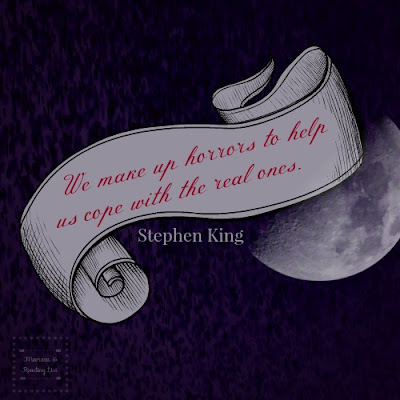 Nope, they are enjoying some bone-chillingly scary books and maybe a couple of thrilling movies during October. 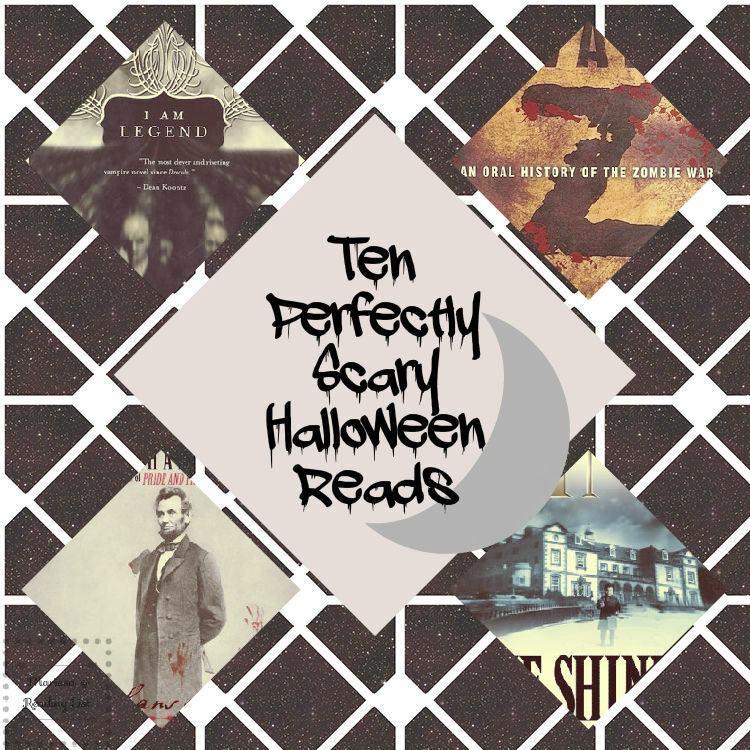 So I thought it would be a fun change of pace to ask one of my closest book loving friends to share a list of some super scary and thrilling books for those of you who might into the scarier side of reading. 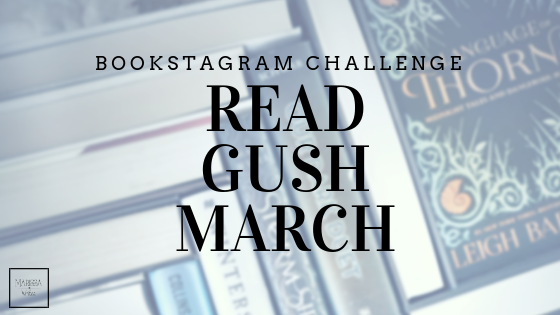 Fair Warning: The books on this list might surprise my regular readers, as I did not want to limit the books Amanda would recommend. So please continue to read with an open mind and have a little fun stretching your own to-read list. 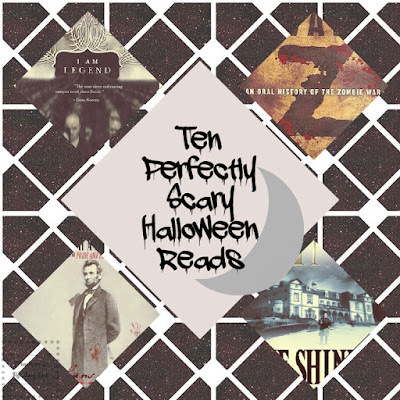 Here are Amanda's top ten scary, thrilling and spooky Halloween books for you all! The first in a trilogy with protagonist Joe Ledger, it explores a zombie outbreak from the moment it happens. Suspenseful and thrilling, it’s the perfect read for a cool fall evening. Classic vampires reimagined to involve a famous historical figure. It’s campy and creepy in the best possible way, with a few awesome and clever cameos along the way. A must read for fans of vampires and history. This story, included in a collection of equally scary short stories, Legend is classic and unsettling. Written in the 1950’s to be set in the 1970’s, Matheson was able to capture the essence of what it’s like to be the last man on earth that transcends time. Dr. Robert Neville finds himself living amongst the vampires who are out for his blood the same way he is out for theirs. More vampires abound, but always in completely different ways. Stephen King never fails at writing about the small towns with the dark secrets that make your skin crawl. Salem’s Lot is no exception, being set in a sleepy New England town, it’ll have you looking over your shoulder before you’re done. If you have seen the movie, I recommend you lay eyes on the book. A haunted hotel sits at the center of this King classic and gets under your skin as you follow the story of the family trapped within its walls. In this story of a man approaching his ten year reunion, he reluctantly returns to his home town just to see the past changing before his eyes. This genuinely unnerving story makes you question if the things you remember to be true are in fact true. A good old fashioned ghost story, Greg Iles weaves a story of a love lost that returns in a threatening and paranormal way. Sleep No More will have you taking second glances at a stranger that seems familiar and you can’t place why. An abandoned and haunted theater is at the center of this ghost story, filled with hostile poltergeists and a sordid past. It is not the most well written story, but it’ll certainly give you chills. If you saw the movie, forget it. This book is vastly different from the movie. Set up as a series of interviews conducted by someone looking for answers in the wake of the zombie outbreak, this book is written in the aftermath of the zombie apocalypse. It asks the question, did we really win the war against the undead? Well worth a read for fans of zombies. Amanda is a stay-at-home mom to two wonderful little boys, a toddler and a newborn, and wife to her best friend. When she isn't caring for the baby, or playing with toddler Amanda can be found with a cup of coffee reading a book, or working on her first novel. What is the scariest book you ever read? Did you finish it? Or, did it end up being stuffed into the back of the freezer - a la Friends? 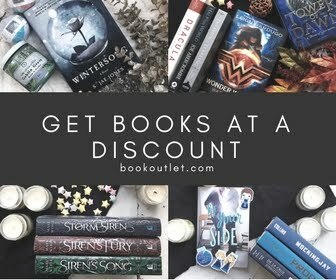 **If you are interested in adding any of the books mentioned in this post, please consider using the affiliate link below and support Reading List while growing your home library.